Saturday, May 31 from 9AM til 2PM. A first edition of this translation with illustrations by R. Smirke published in six volumes by Longman, Hurst, Rees, Orme and Brown, London, 1811. Bound in original 19th century full calf and complete with bookplates of Edward Chatterton Orpen on the front pastedown and Winifred & Leonard Carpenter on front free endpaper and a subsequent owner’s name stamped at the top of each title page. 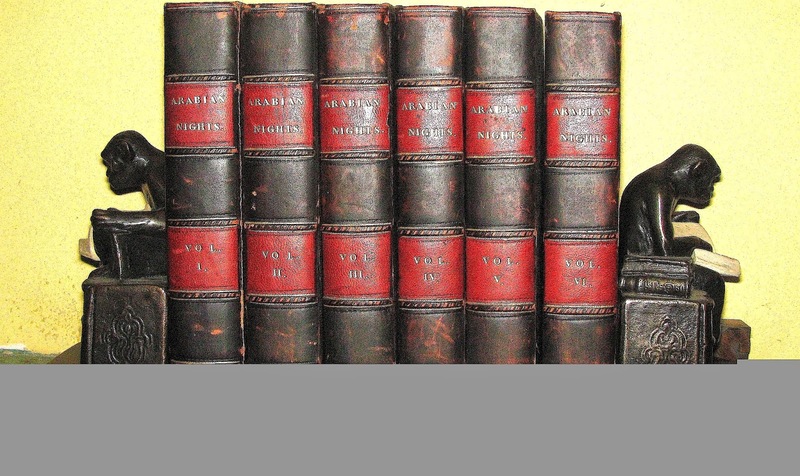 Scott's edition of the Arabian Nights is one of the earliest editions in English of this classic work. His translation was largely based on France’s Antoine Galland’s Les Mille et Une Nuits, although Scott augmented this from other sources and added stories from the original Arabic that are not found in Galland. A lovely set in very good condition priced at $1,750. A First Edition published by Phelps & Fanning, New York, 1851. The first half of this book is made up of forms and instructions on United States' laws and the second half has explanations of laws specific to each particular state. Topics include mortgages, deeds, debts, contracts, real estate leases, wills, marriage, and business partnerships. The state sections also covers the rights of married women and usury laws. There are double page maps for each of the 31 (as of 1851) states and a double page United States map. The state maps present all counties, cities and towns. The book consists of 359pp. plus one page of publisher's reviews of the book. It is 12mo, contemporary calf, professionally rebacked in 2010 with brown leather and a new leather label. The cover corners are slightly worn, and there is some light foxing to some pages of text and margins of maps. 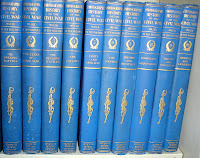 All in all, a very nice copy of the laws of the Nation and the individual states a short time before the Civil War .... Priced at $450. A First American Edition published by M. Witmark & Sons, New York, (1936) and inscribed by the Author. The book is bound in black cloth boards with gilt lettering on the cover and spine. 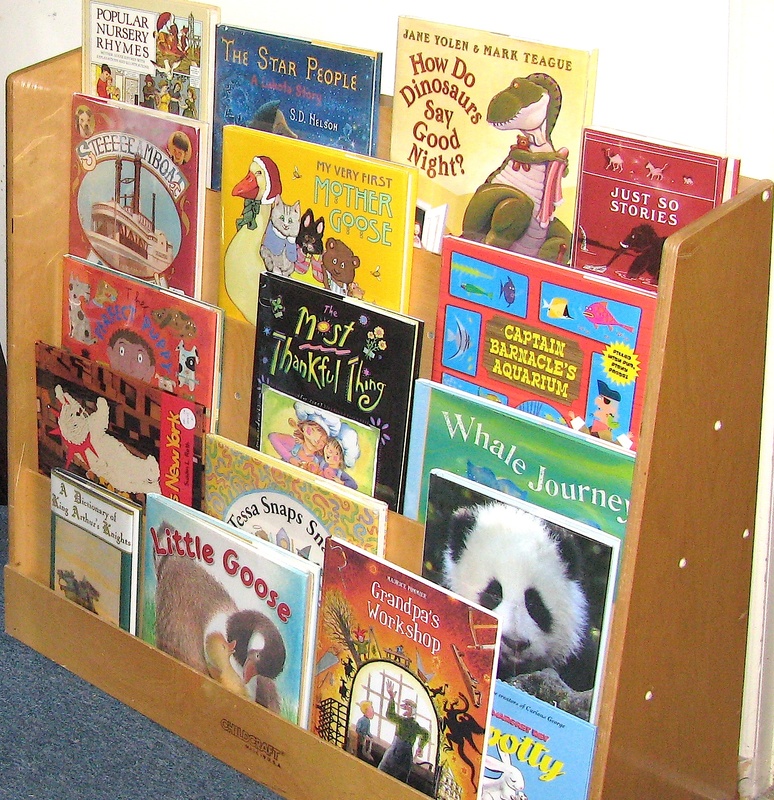 Book is clean and fresh with moderate wear to edges of boards. 363 pages. The rare unclipped Dust Jacket is split along the length of one corner of its spine and has several nicks along its edges. 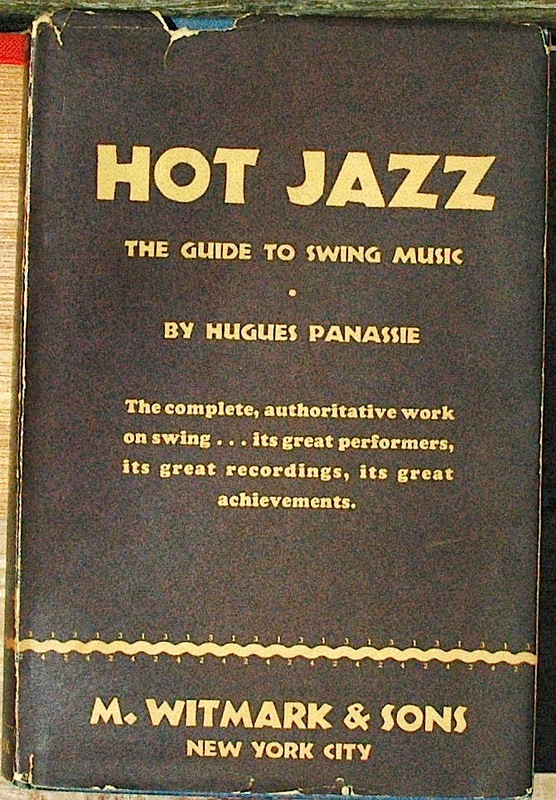 This book was translated by Lyle and Eleanor Dowling from Panassie’s 1934 French publication, Le Hot Jazz. 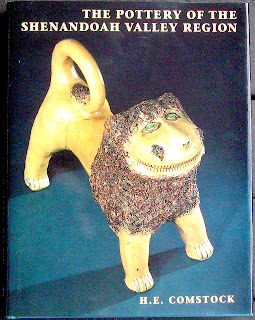 Panassie provided some revisions for this English-language edition. Panassié was the founder of the Hot Club de Paris and for many years the most authoritative European voice on jazz. One of the earliest serious works on jazz and difficult to find in any condition......Priced at $450. A First American Edition published by New Directions, (1940), Norfolk, Conn. 8vo, 186 pages, maroon cloth with gilt lettering on the spine. Very faint discoloration to the unclipped Dust Jacket. 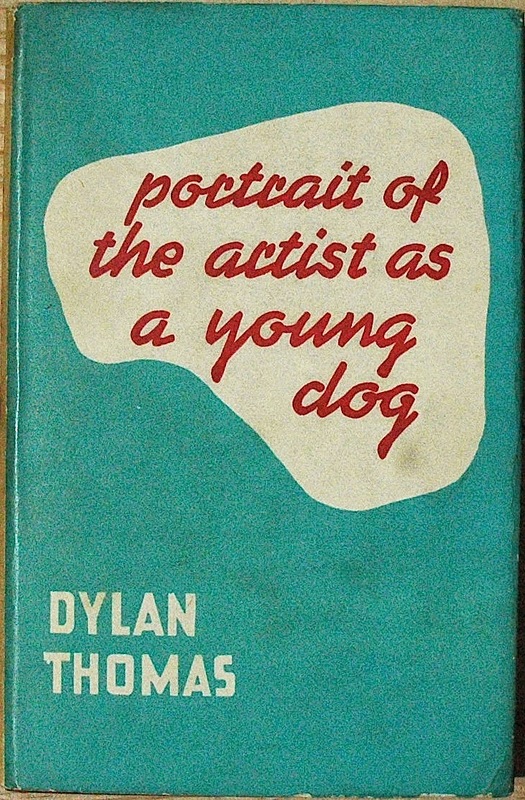 This "Portrait" is Thomas's autobiography, told in a series of short stories based on amusing or dramatic incidents from his childhood and young manhood. 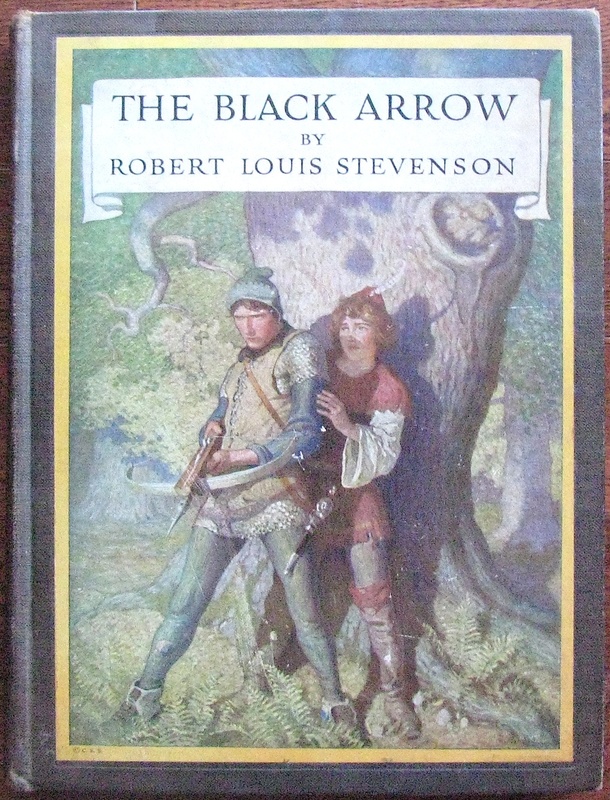 This First American edition was limited to only 1000 copies. A fine example...... priced at $400.00. We look forward to seeing you next week in Richmond!!!. 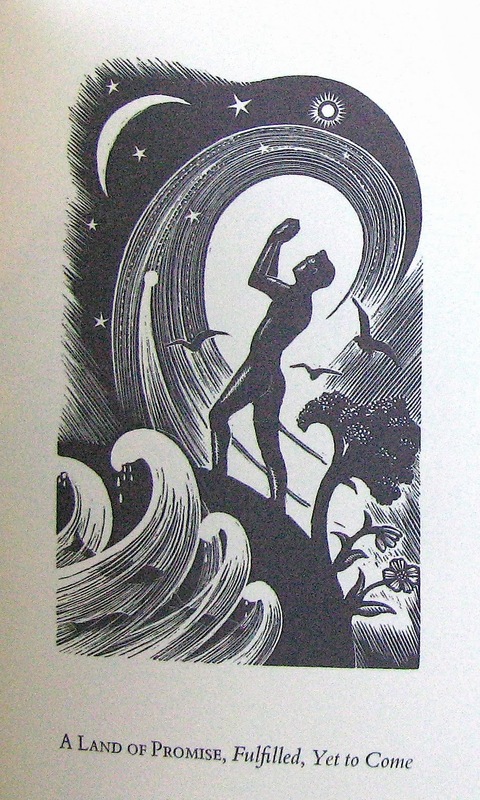 A Celebration of Clare Leighton. It’s wonderful to learn that the Virginia Museum of Fine Arts (www.vmfa.state.va.us) will be exhibiting a collection of Clare Leighton’s drawings, prints, posters, porcelain and books from October 19, 2013 through April 6, 2014. We have been admirers of Ms. Leighton’s writings and art for quite some time. 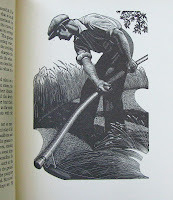 She is thought, by many, to have been one of the finest wood engravers of the twentieth century. She was born in England in 1898 and gained widespread renown there before bringing her considerable talents to America in 1939.... establishing residence first in Maryland, then in nearby Durham, North Carolina and finally in Connecticut. We have a First American Edition of Four Hedges: A Gardener’s Chronicle written and illustrated by Ms. Leighton, published in 1935 consisting of 167 pages with 88 wood block illustrations. 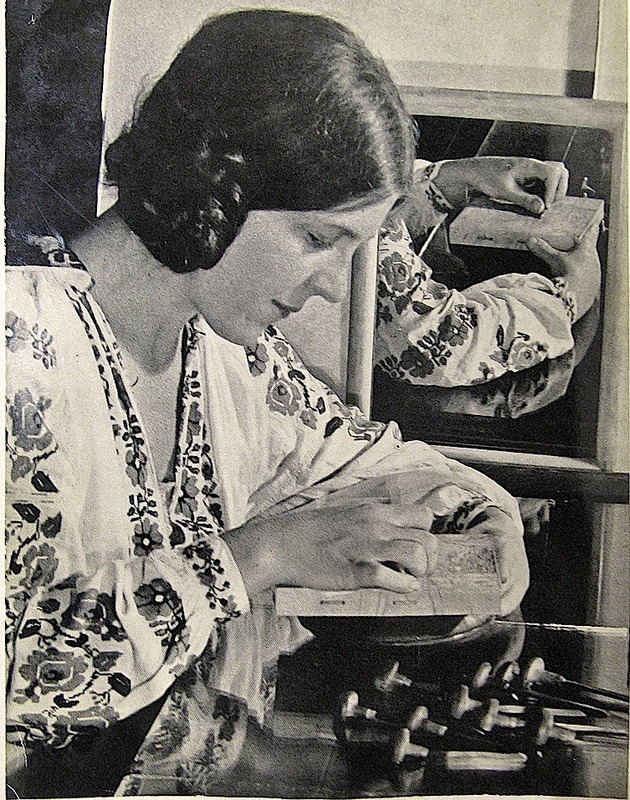 In the 1930s, Ms. Leighton settled in the countryside with her long-term partner, the political journalist Henry Noel Brailsford, and turned her creativity to the land. Gardening became her passion and this is the month by month chronicle of the garden she carved from meadowland deep in the Chiltern Hills of England. It is a fine copy in dust jacket and signed by Ms. Leighton on the front end paper. 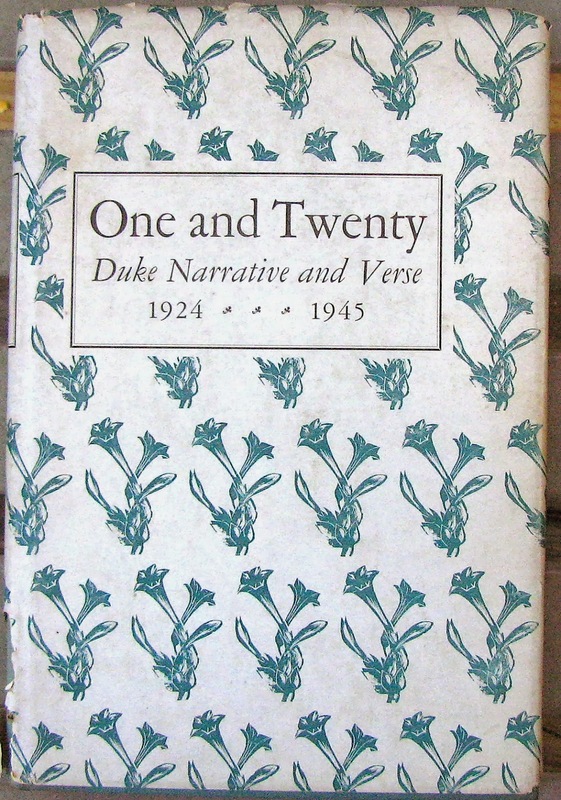 We also have a First Edition of One and Twenty published by the Duke University Press in 1945 consisting of 297 pages with 29 wood block illustrations. Ms. Leighton, as a visiting lecturer in Art at Duke University, inspired the idea of a book of writings by Duke students to be illustrated by her art students. The writings were selected by esteemed Professor William Blackburn and the illustrations were by Ms. Leighton’s students. 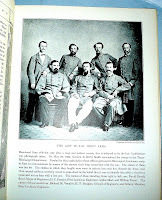 And One and Twenty is notable for one other feature....it marked the first appearance in print for the celebrated Virginia born author, William Stryon. The book is in very good condition in a dust jacket, with a “with the compliments of the author” card tipped in. It is priced at $75. We have a copy of Where Land Meets Sea: The Tide Line of Cape Cod written and illustrated by Ms. Leighton, published in 1954, consisting of 202 pages with 38 wood block illustrations. This book presents a collection of Ms. Leighton’s impressions of Cape Cod. It is a very good copy in a dust jacket. It is priced at $50. The fourth book we have is Growing New Roots: An Essay with Fourteen Wood Engravings published by The Book Club of California in 1976. In this book, Ms. Leighton writes of her first impressions of America and presents her interpretation of America in 14 exquisite wood engravings. The book also includes a bibliography of books written or illustrated by Ms. Leighton. This is copy Number 47 of 500 copies signed by Ms. Leighton. It is in very good condition. It is priced at $100. We hope you will find your way to the Clare Leighton exhibition and when you do....leave some time to visit our favorite bookshop in Richmond, Black Swan Books at 2601 West Main Street. As I look through our copy of James Joyce’s Ulysses, I am reminded of Joyce’s genius and of the four courageous women that fought to see his work published. 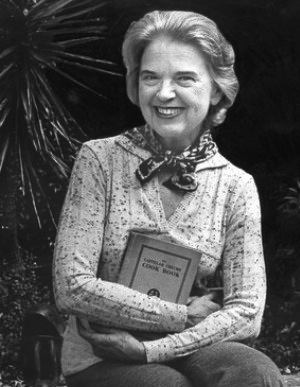 Margaret Anderson and Jean Heap, in America, serialized a portion of Ulysses in their Little Review until the U.S. Courts ruled the work “obscene”. Harriet Weaver, in England, published five installments of Ulysses in her Egoist Review before experiencing the same censorship and public indignation in England. After those two setbacks, Mr. Joyce lamented to Sylvia Beach, owner of the Shakespeare and Company Bookshop in Paris, that he feared his book would never be published. 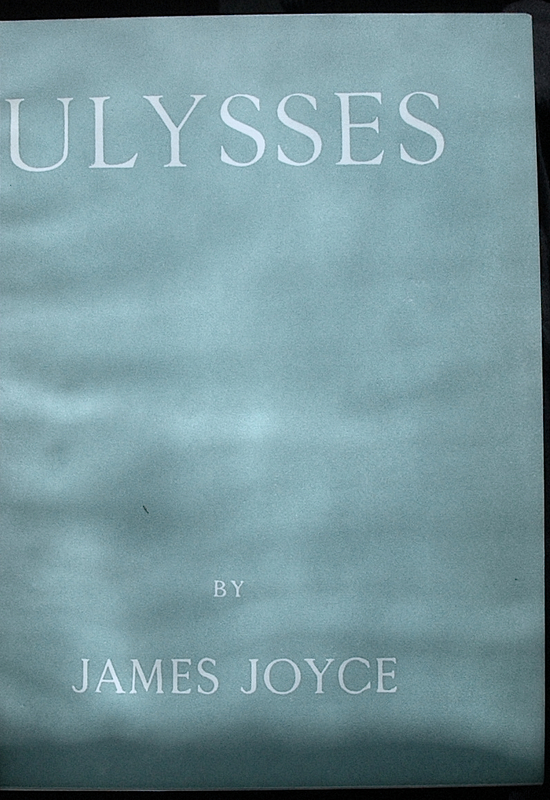 Ms. Beach asked, on the spur of the moment, if Mr. Joyce would allow Shakespeare and Company to publish Ulysses. Mr. Joyce gratefully accepted the offer and thus was born one of the most storied publisher/author partnerships in all bookdom. 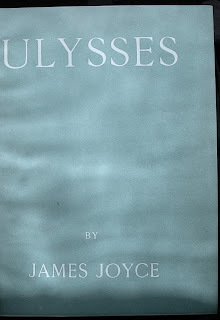 Ms. Beach had no experience as a publisher and when the printers complained about Joyce’s major corrections to proof sheets and his insistence that the book covers had to be a “Greek blue” that was nowhere to be found in France. she simply said.... “Ulysses was to be as Joyce wished, in every respect”. The first Shakespeare and Company printing of Ulysses was finally issued in February, 1922 in an edition of 1,000 numbered copies. The second printing of 2,000 copies was printed in France for the Egoist Press (Ms. Weaver) and 500 of those copies were burned by the New York Port Authority. The third printing of 500 numbered copies was published for the Egoist Press and 499 copies were seized by English Customs agents. The 4th, 5th, 6th, 7th, 8th and 9th printings were by Shakespeare and Company. 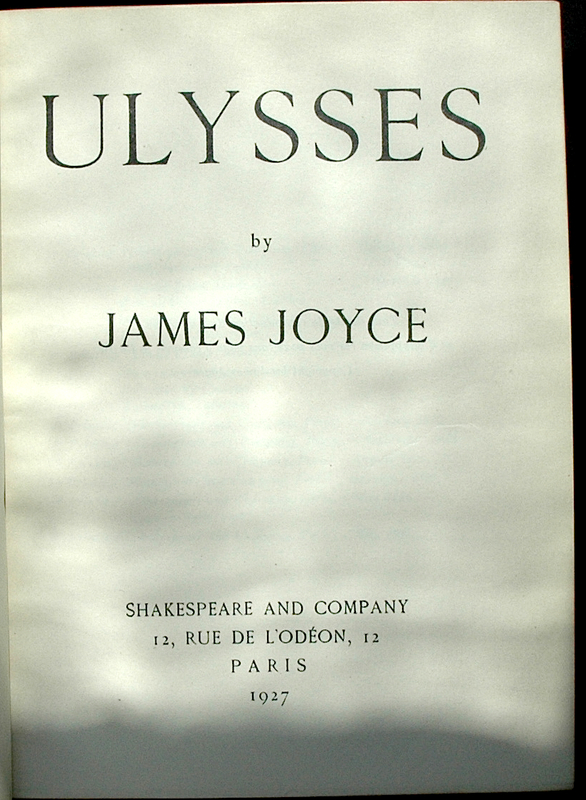 A first edition of Ulysses, in today’s market, can fetch $75,000 with signed copies realizing even more. Our modest copy is a Shakespeare and Company 9th printing (May, 1927) in 3/4 leather over marble paper with the original blue wrappers bound in and 735 pages of text. It is in very good condition........ It is priced at $500. 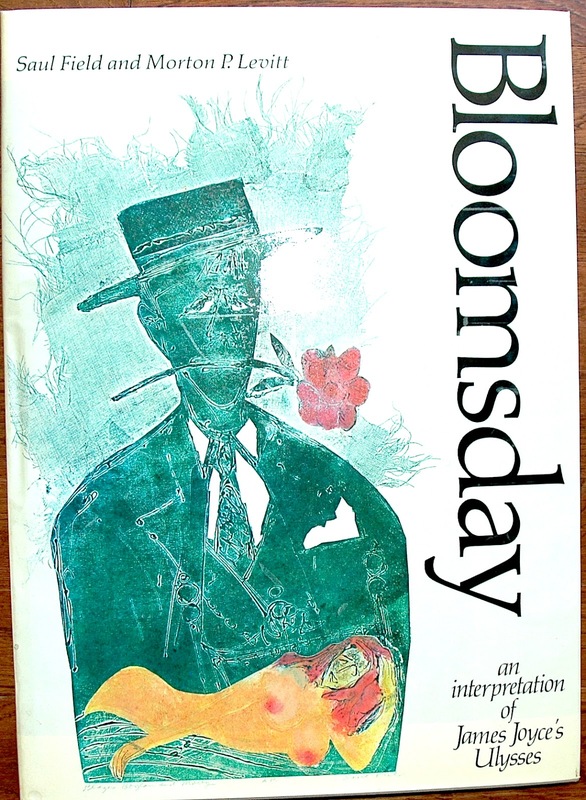 And we also have a portfolio sized, signed limited edition in a dust jacket and slip case of Bloomsday: An Interpretation of James Joyce’s Ulysses by Saul Field and Morton P. Levitt printed by the New York Graphic Society in 1972. It consists of 122 well illustrated pages. Our copy, number XXI, is signed by Mr. Field and Mr. Levitt and includes an original engraving numbered XXI signed by Mr. Field .....It is priced at $225. Hope you are enjoying a great Labor Day!! And best wishes for a lifetime of joyous Bloomsdays (each and every June 16)!! A two volume set of Travels and Works of Captain John Smith, President of Virginia and Admiral of New England 1589-1631. This is a 1910 “new edition” edited by Edward Arber with a biographical and critical introduction by A. G. Bradley, published by John Grant in Edinburgh. The two volumes includes many black and white maps (some folded-in), engravings, and facsimile documents to illustrate the writings of John Smith: a soldier, explorer and one of the leaders of the Virginia Colony (based at Jamestown). There are 984 packed pages in the two volume set. 103 years ago priced at $150. 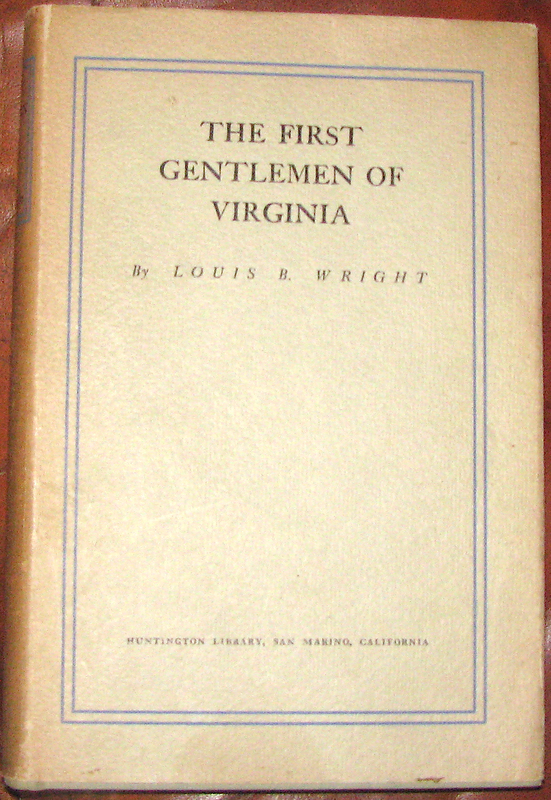 A First Edition of The First Gentlemen of Virginia by Louis B. Wright published by the Huntington Library in 1940 consisting of 371 pages. As the dust jacket details, “Dr. Wright....from inventories of libraries, from letters and journals, and from other scattered sources...has brought together evidence of the inner life, of the spiritual and intellectual natures, of the Virginians who created the remarkable social order that took shape in the period before the death of William Byrd II in 1744...Their intelligence and wisdom helped shape the destiny of the nation in 1776 and 1787." Our copy is is in very good condition with an unclipped dust jacket and priced at $50. A First Edition of Traditional Ballads of Virginia Collected Under the Auspices of the Virginia Folk-Lore Society edited by Arthur Kyle Davie, Jr. and published by the Harvard University Press in 1929 consisting of 634 pages with 9 pages of photographs and a fold out map. It’s the fascinating culmination of many Virginia Folk-Lore Society members trudging the hills, hollows and towns to codify Virginians’ interpretation of traditional ballads in words and music. There are examples from 100 counties and the members recorded many variations of particular ballads (Bonny Barbara Allen had 92 documented variations... 36 word variations and 12 music variations are included in this book). Our copy is is in very good condition priced at $95. 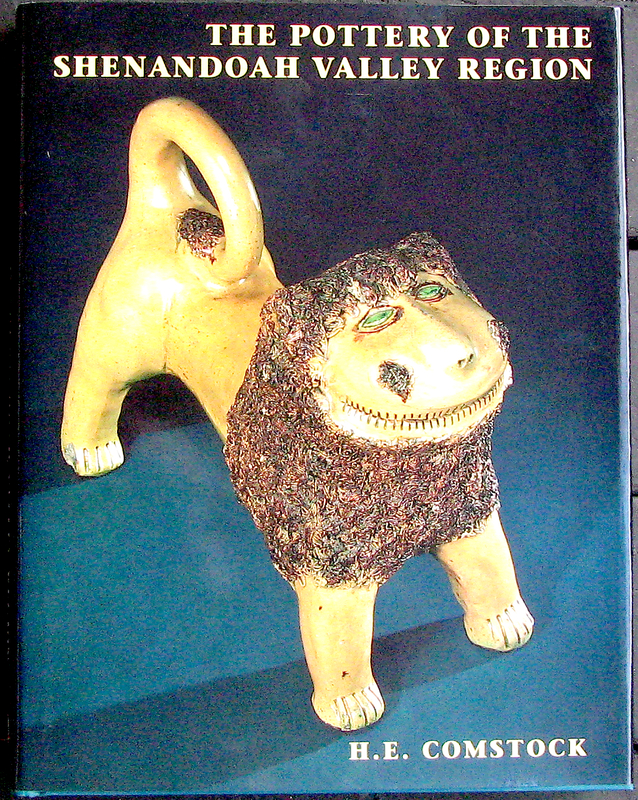 A First Edition of The Pottery of the Shenandoah Valley Region by H. E. Comstock and published by The Museum of Early Southern Decorative Arts in Winston-Salem, North Carolina/distributed by the University of North Carolina in 1994 consisting of 538 pages filled with wonderful illustrations. This region (Virginia, West Virginia, Maryland and Pennsylvania) has a tradition of utilitarian folk pottery dating back to 1750 and Mr. Comstock presents a comprehensive study including a general history of the pottery trade, a well-illustrated description of the pieces produced in the valley, and biographical sketches of individual potters. A beautiful, informative book that is now difficult to find at a price less than $400 to $500. Our copy is in like new condition and priced at $350. it was a reproduction...the first reproduction I had seen. But I came away happy with the thought that the “Lady by the Spring” bottle from a small place in Virginia had been deemed beautiful enough to be reproduced. Tis a special place, this Commonwealth of Virginia. 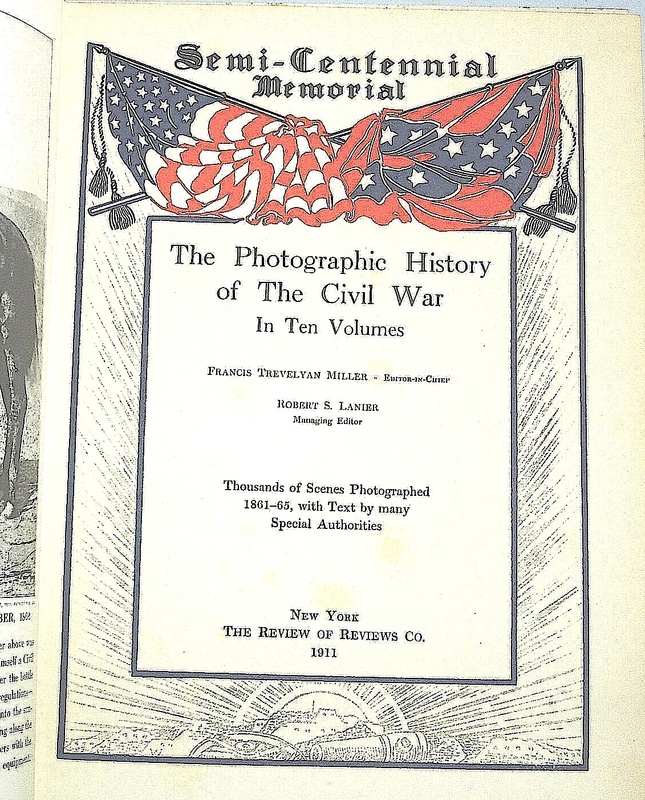 For your consideration is a very good copy of the ten large quarto volume set of The Photographic History of the Civil War edited by Francis Trevelyan Miller and published in 1911 by The Review of Reviews, in New York. This remarkable work contains thousands of photographs, many previously unpublished, taken from 1861-1865 by Mathew Brady and by private individuals. 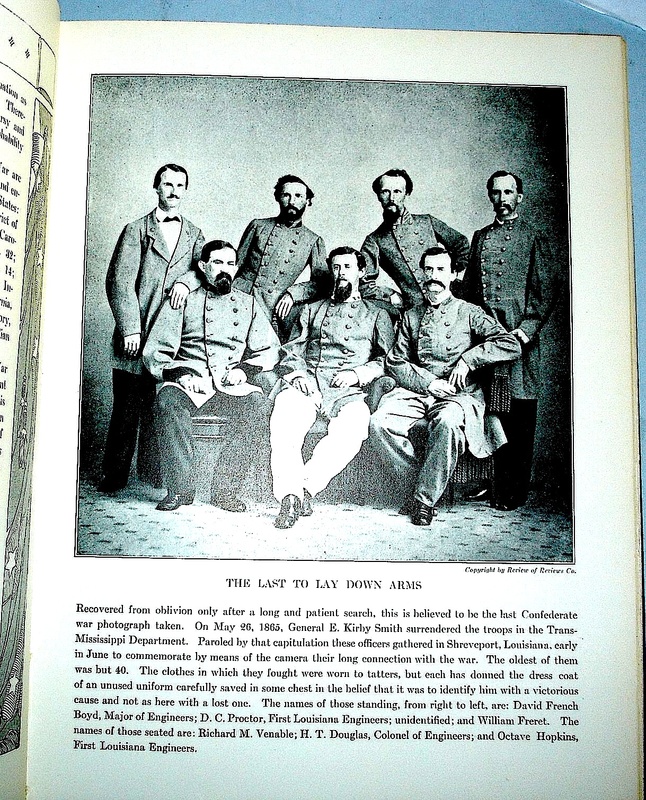 The accompanying text contains contributions from over 39 distinguished historians and veteran officers of both Confederate and Union forces, many of whom wrote from their personal experience. 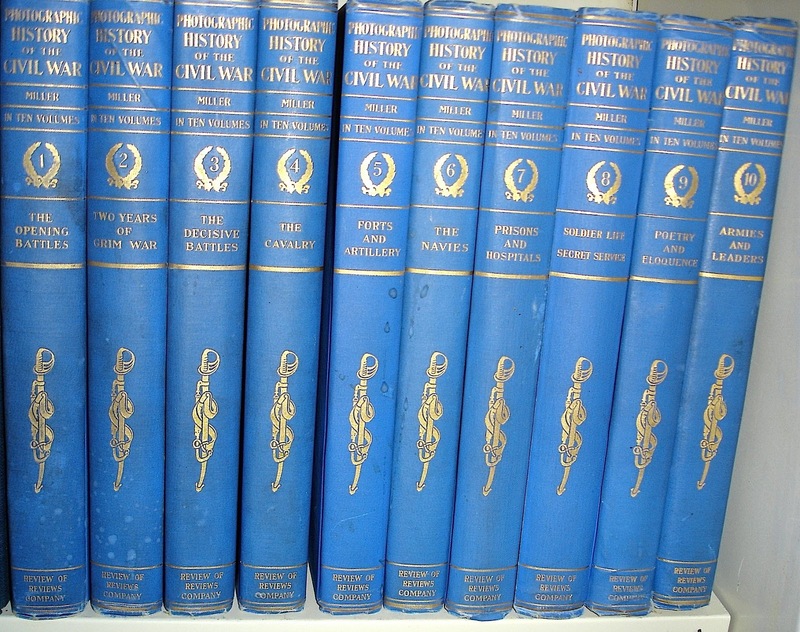 The ten volumes include 1) The Opening Battles; 2) Two Years of Grim War; 3) The Decisive Battles; 4) The Cavalry; 5) Forts and Artillery; 6) The Navies; 7) Prisons and Hospitals; 8) Soldier Life,Secret Service; 9) Poetry and Eloquence of Blue and Gray; and 10) Armies and Leaders. Mr. Brady profited little from his epic Civil War photographs and died a pauper in 1896. 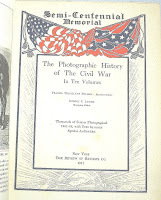 Fortunately for us, many of his negatives survived to be included in The Photographic History of the Civil War that was published 15 years after his death. Thank you and Happy Book Hunting!! There is much conjecture nowadays about the future of “the book”. But, as a number of studies show, reading is a genuinely tactile experience---how a book feels, looks, and even sounds as we turn a page has a great impact on how we feel about reading. The truth is that the book is an exceptionally good piece of technology—easy to read, portable, durable, relatively inexpensive..... and no batteries are required. And they are great gifts to share with children. There is a great history of wonderful illustrators of children’s books that continues to this day. It seems the past 10 years or so have produced a number of tremendously talented children’s illustrators... illustrators enlivening new tales as well as illustrators giving fresh insights to classic tales. 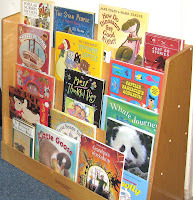 At Wilkerson and Brooks Books, we have a good selection of these contemporary children’s illustrated books...most in hard cover and dust jackets and many priced under $10. 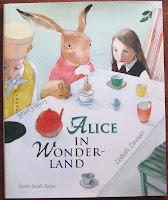 And we have more collectable books...you might consider a First American Edition of Lewis Carroll’s Alice in Wonderland illustrated by Lisbeth Zwerger, published by North-South Books in 1999. This book consists of 103 pages, has an illustrated front and back cover, and a very nice unclipped dust jacket. 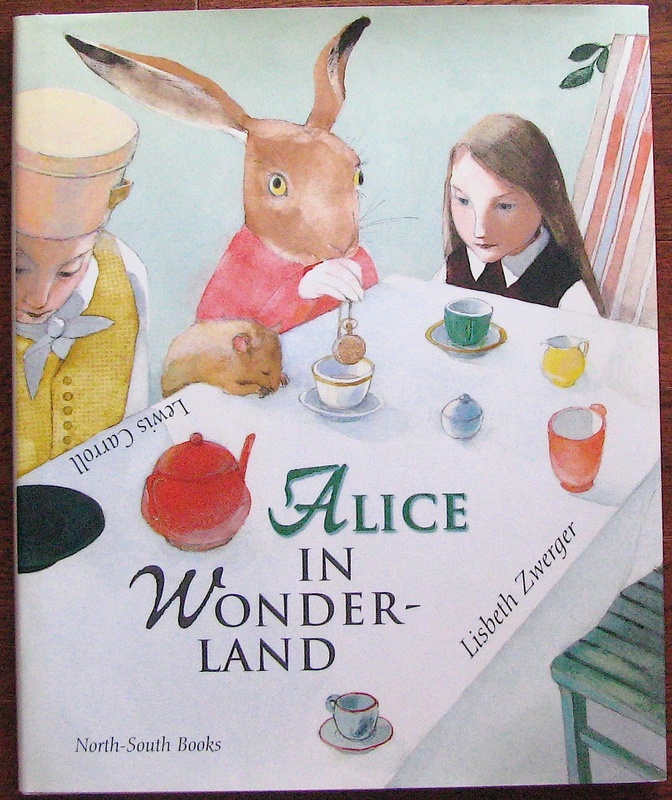 Ms. Zwerger has been called by many, “one of the finest illustrators of the twentieth century” and you may need to read the story again and correlate it to Ms. Zwerger’s insightful, witty illustrations. Our copy is priced at $30. 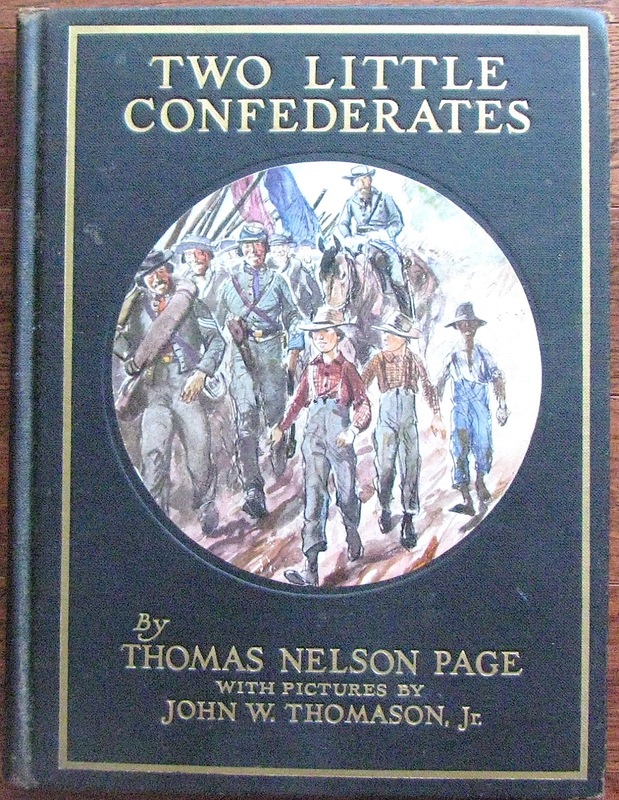 We also have a nice copy of Thomas Nelson Page’s Two Little Confederates illustrated by John W. Thomason, Jr., published by Charles Scribner’s Sons in 1932 consisting of 192 pages with a colored frontispiece and 37 black and white illustrations throughout the text. The cover features a large circular full color paste down (same image as the frontispiece). The book is in very good condition with a former owners signature and a 1/2” tear to the bottom of the title page. 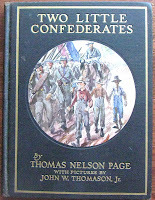 Page’s story of two Confederate youths in the Civil War was originally published in 1888, this is the edition with the fine artwork of John W. Thomason, Jr. Page’s fictional account of two ten-year-old boys' adventures and escapades while living at home in rural Virginia during the War Between the States is unusual, for its time, as the story is sympathetic to both sides of the conflict. Our copy is priced at $75. And we have a very good First Edition of Robert Louis Stevenson’s The Black Arrow illustrated by N. C. Wyeth, published by Charles Scribner’s Sons in 1916 consisting of 328 pages with a colored title page, 14 full page colored illustrations throughout the text, and illustrated endpapers. The book features a color paste down front cover and gilt top leaves. The book is in good condition with a former owners signature and slight shelf wear to the spine bottom. There is slight foxing to two illustrations: the title page and the one on page 324. All in all, a very good copy of a scarce book with illustrations by by one of America’s greatest artists and illustrators. Our copy is priced at $225. We’ll close with this quote from the first paragraph of Alice in Wonderland...."And what is the use of a book," thought Alice, "without pictures and conversations?" Happy Book Hunting and be careful of the rabbits you choose to run after. One of the early visitors to the first bookshop I opened in Pasadena, California in 1979 was an attractive, stylishly dressed lady who introduced herself as Marian Gore, seller of cook books. I can’t remember what Marian purchased on that first visit but I came to look forward to her visits, to enjoy her sly wit whenever Pasadena area booksellers gathered, to admire her offerings at Book Fairs, and to look forward to her wonderful food and drink catalogs. This was in the days when collectable book identification and comparative values could often only be guessed at after searching many volumes of “Bookman’s Price Index” and “American Book Prices Current” in the local library. If you were lucky enough to find a reference, it might be from a catalog or auction that occurred 5, 10 or more years previous. And there were precious few listings of food and drink items, so Marian’s catalogs were treasure maps to what was worthwhile in the food and drink collecting world. Marian passed away in 2009 at the age of 95 and she had a profound influence on the book world. I know she influenced me, for every book shop I have been associated with since meeting her has featured distinctive contemporary and rare food and drink books. 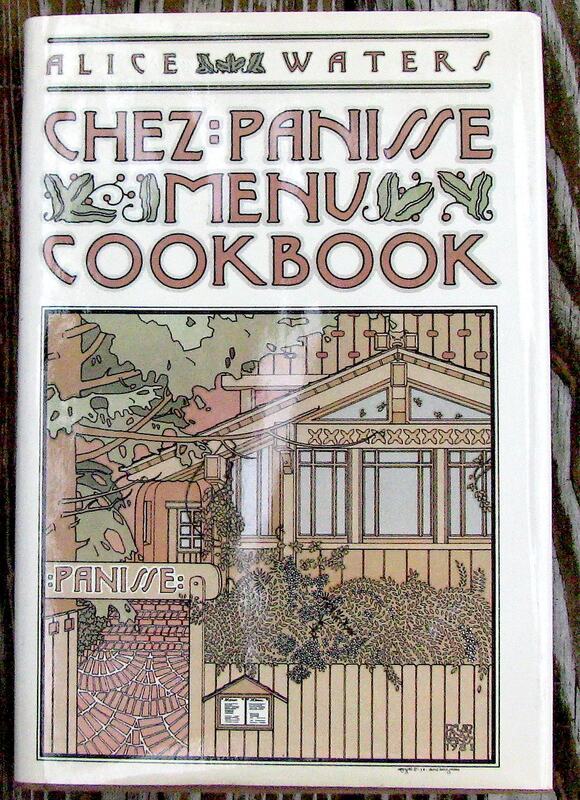 On the contemporary side, we have a signed copy of Chez Panisse Menu Cookbook by Alice Waters. If you’re ever on the west bank of the U.S., you should plan a visit to Ms. Waters’ Chez Panisse in Berkerly, California...both the downstairs restaurant and the more casual upstairs cafe are exceptional. When my son was attending law school in Berkerly and scored a rent controlled apartment on Arch Avenue, I used to visit him and enjoy joining the early morning crowd at the original Peet’s Coffee down the street, wandering down to Peter Howard’s original Serendipity Books on Shattuck, returning to Robert's apartment and counting our money to see if we still had enough, after the book purchases, to celebrate at Chez Panisse Cafe. It was a great way to cap off the day. You can enjoy a sampling of Alice Waters’ trend setting take on food with this Chez Panisse Menu Cookbook, printed in 1982, signed by Ms. Waters. It's in very good condition with an unclipped dust jacket and it’s priced at $25. 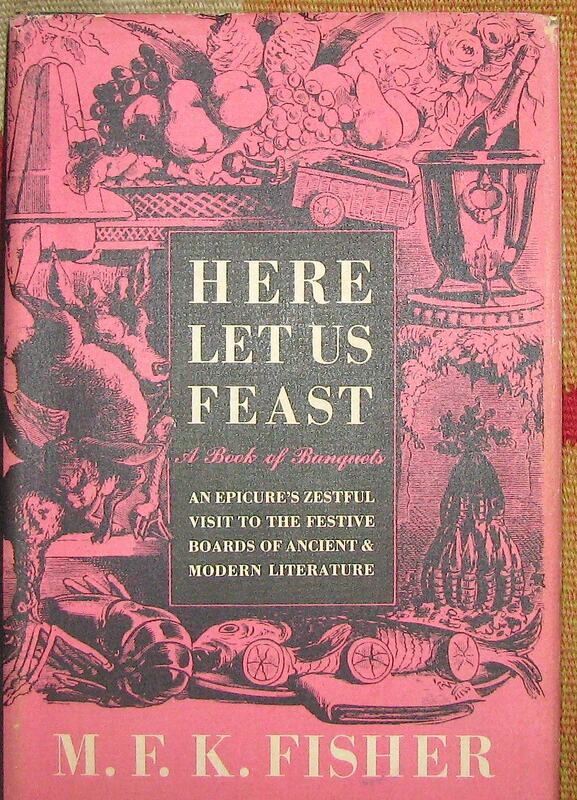 On the collectable side, we have an inscribed First Edition of Here Let Us Feast by M. F. K. Fisher, whom many consider the greatest American food and drink writer of the 20th Century. To quote Clifton Fadiman, “She (Ms. Fisher) writes about food as others do about love, but rather better.” And I believe it’s no small recommendation that when Marian Gore retired from bookselling, she donated all her books, save two. One of the two books she could not part with was by M. F. K. Fisher. St. Helena, 5.xl or ‘18, ’69"
It is priced at $375.